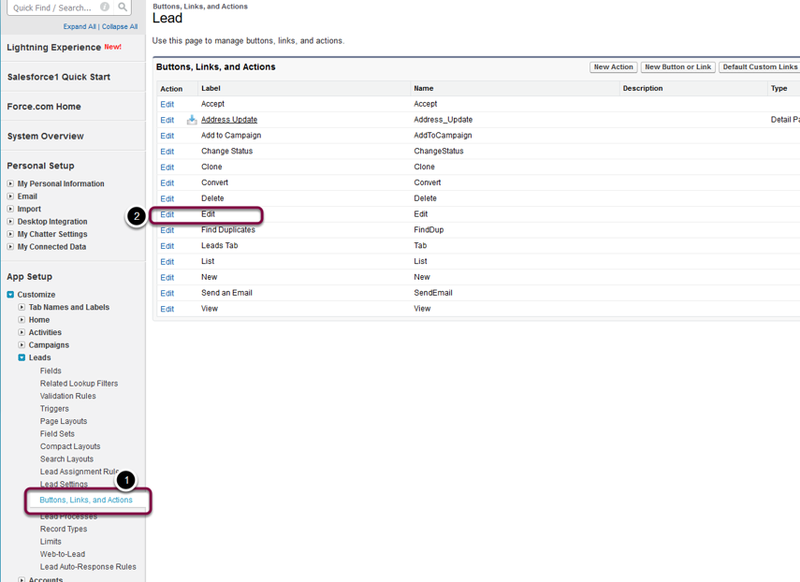 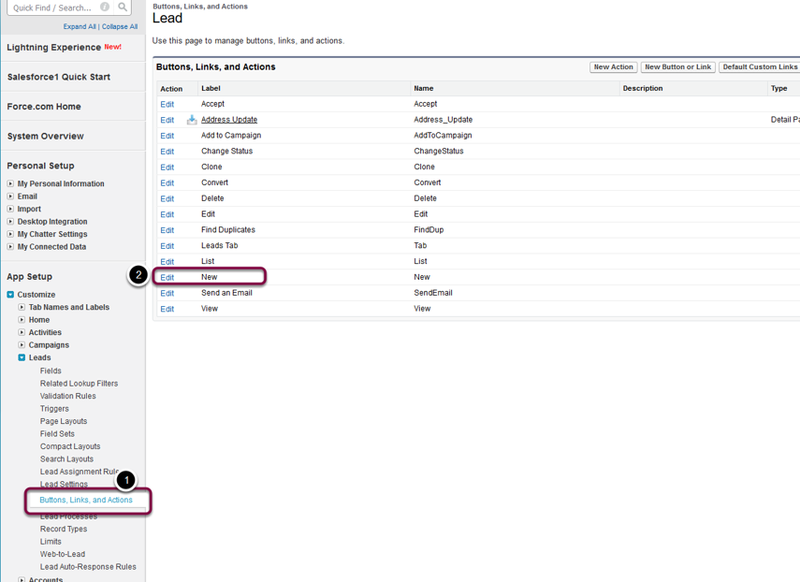 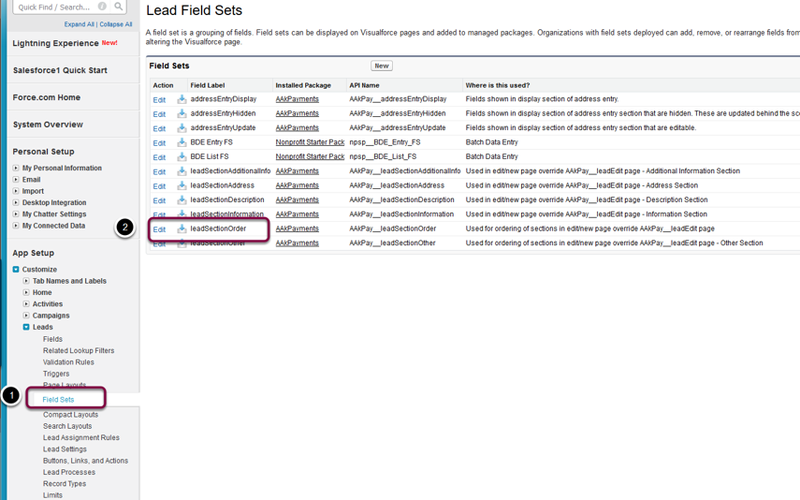 This setup procedure overrides the standard new and/or edit page layouts for Leads, Accounts or Contacts. 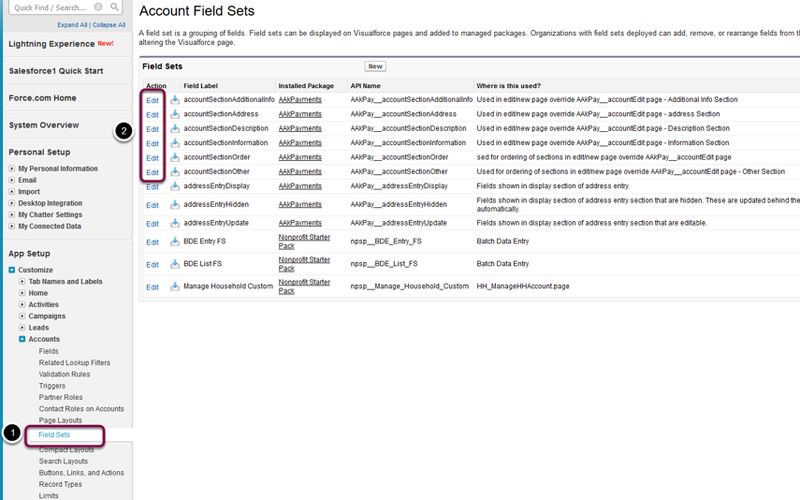 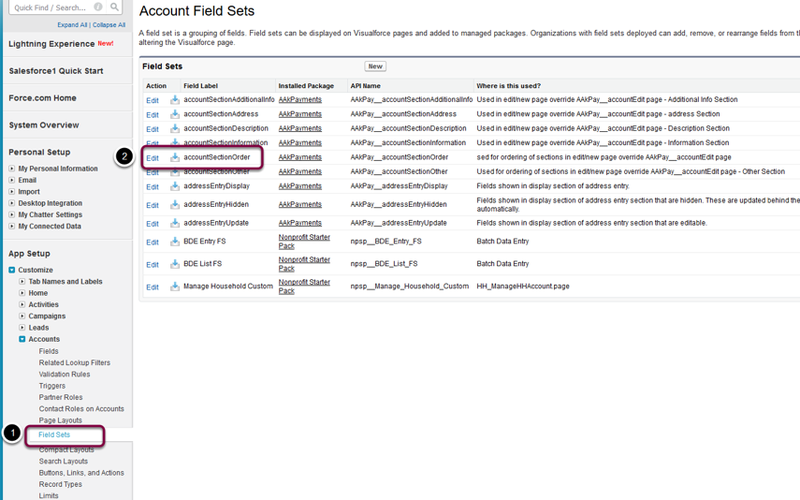 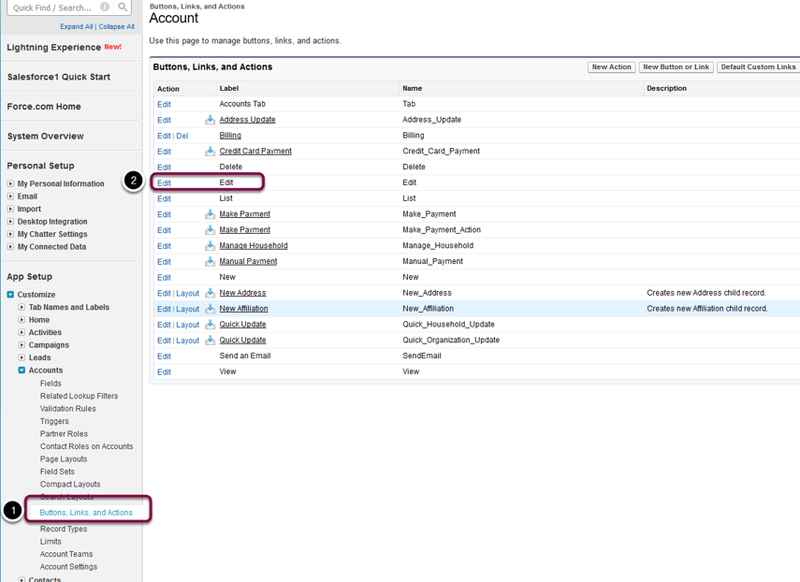 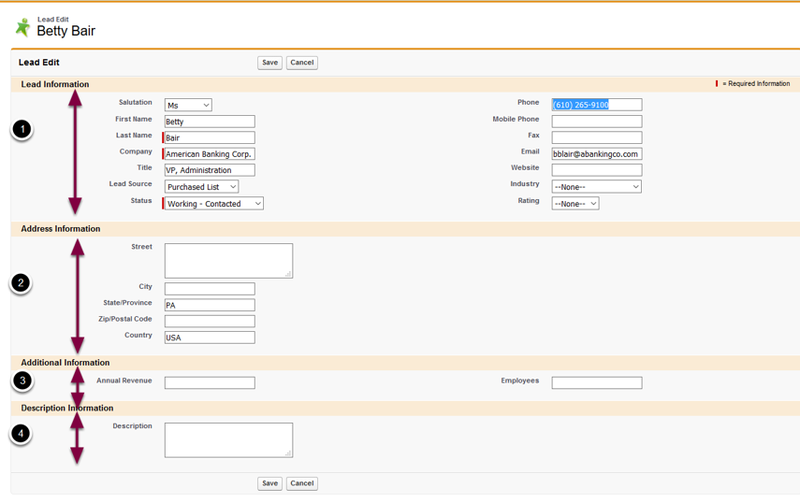 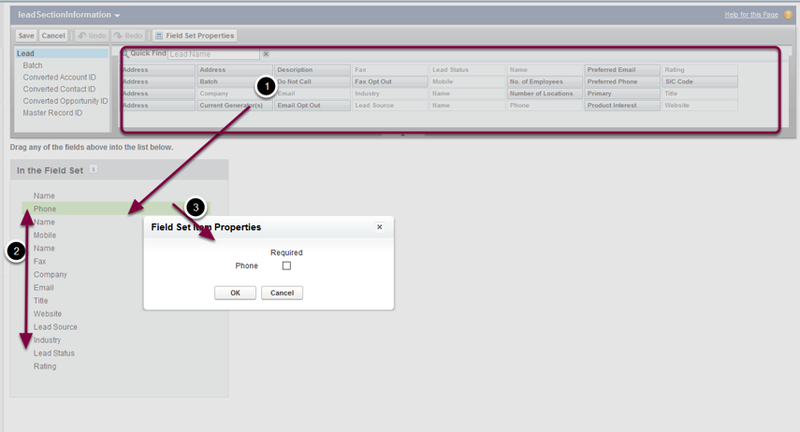 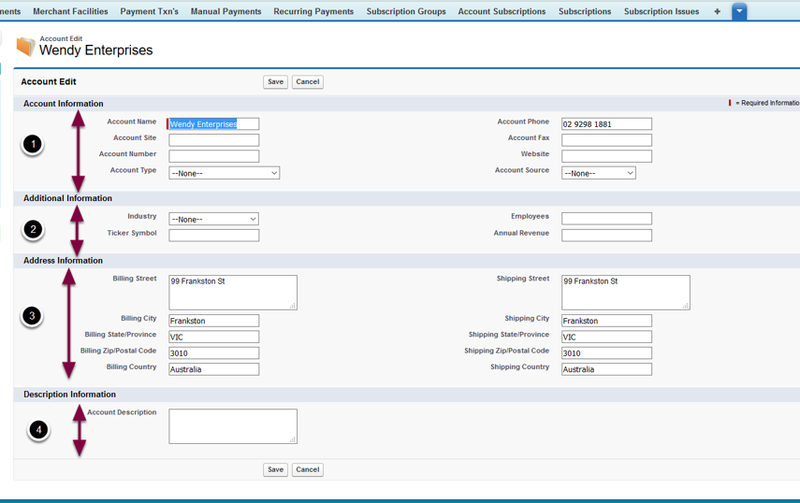 This option allows for similar functionality to standard salesforce, but includes auto-complete and address validation. 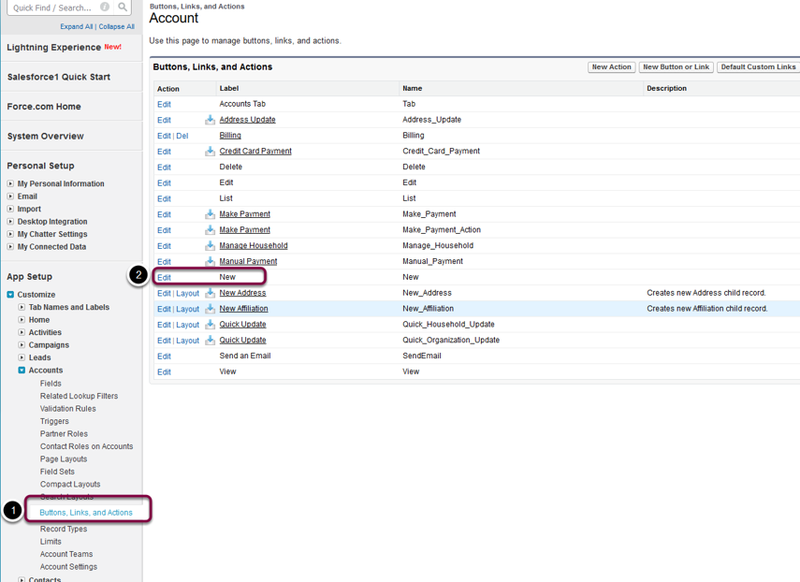 The alternative option for the buttons and links for address validation provides one option for using the address validation. 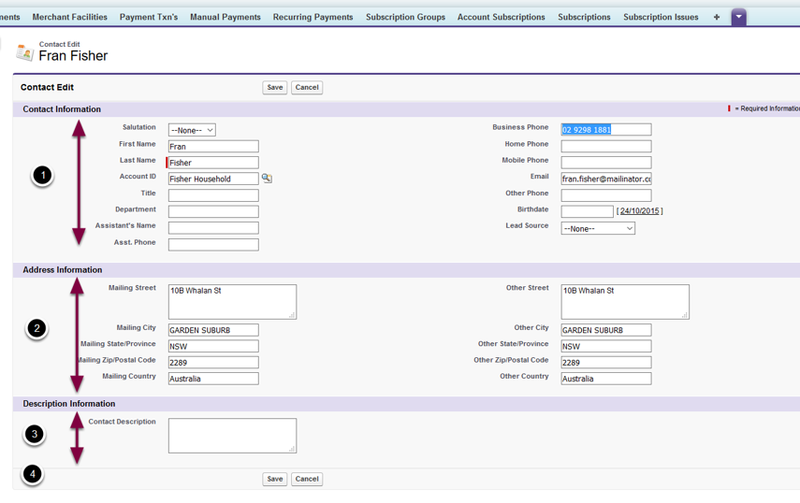 This option places a button and/or a link that when press pops up a screen for entering the address information. 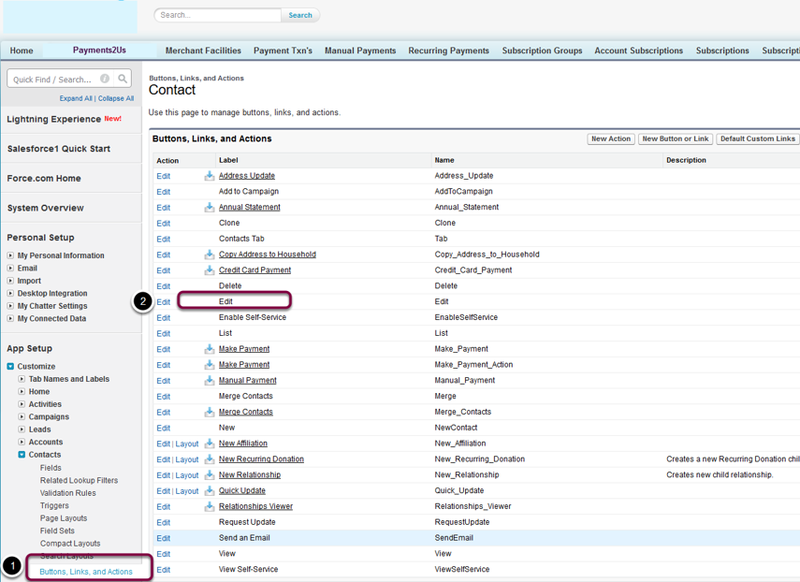 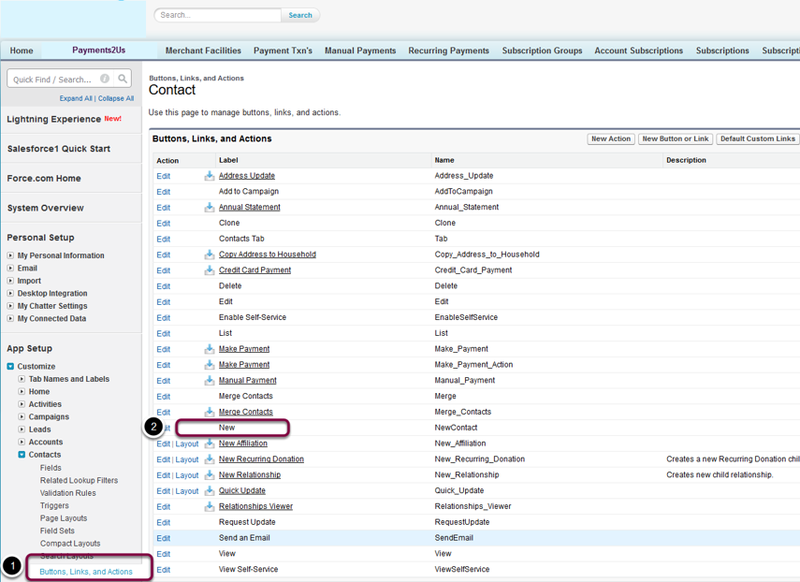 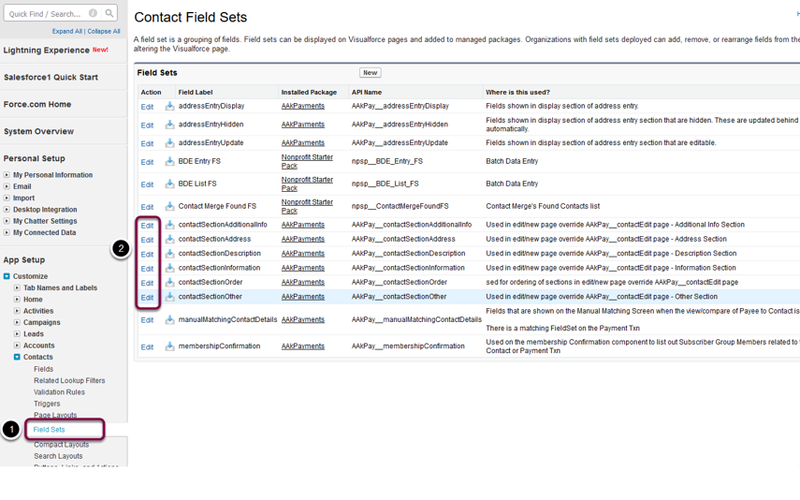 As the new and/or edit page layouts have been replaced with the Payments2Us Visualforce page, the standard salesforce edit layout option is no longer available. 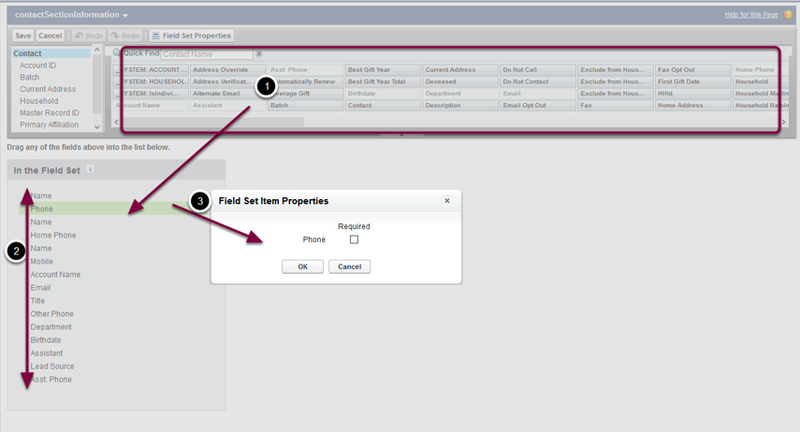 However, you can still change the layouts and fields that are shown/available by change the fields that appear in the field set. 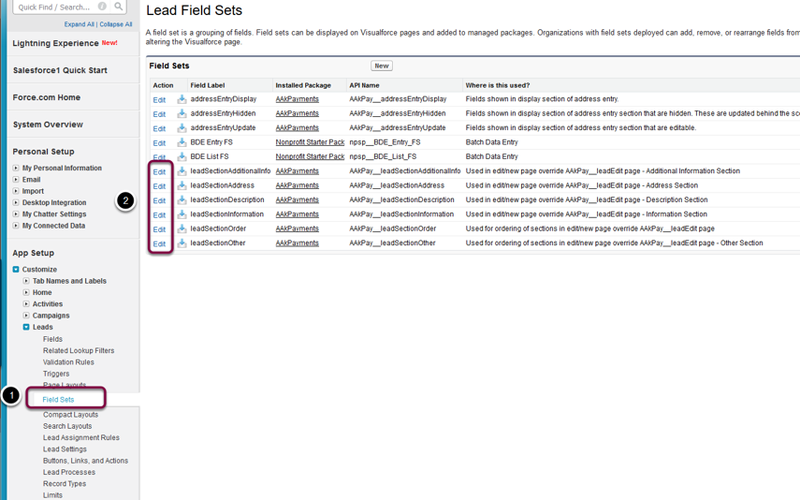 A special fieldset called leadSectionOrder is used to control the order that each of the sections appear. 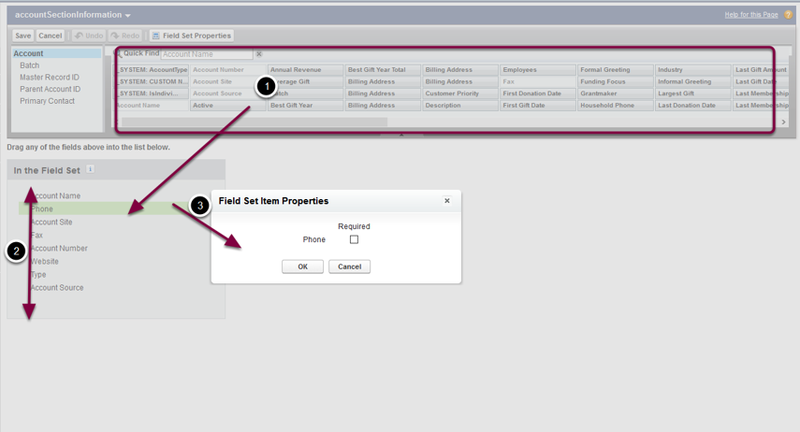 A special fieldset called accountSectionOrder is used to control the order that each of the sections appear.